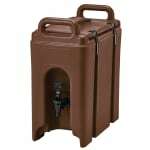 The Cambro 250LCD131 Camtainer beverage carrier is ideal for catered events, business meetings, and conferences. With its unique design, the portable unit can hold up to 21⁄2 gallons of beverage or soup, enough for 45 servings of 7 ounces each. The polyethylene construction is durable, dishwasher safe, and can resist dents and scratches. Polyurethane foam insulation retains the beverage's temperature for hours, keeping hot drinks hot without a heating source. Molded-in handles make for easy transporting, and plastic latches will not rust or corrode and are protected from damage. 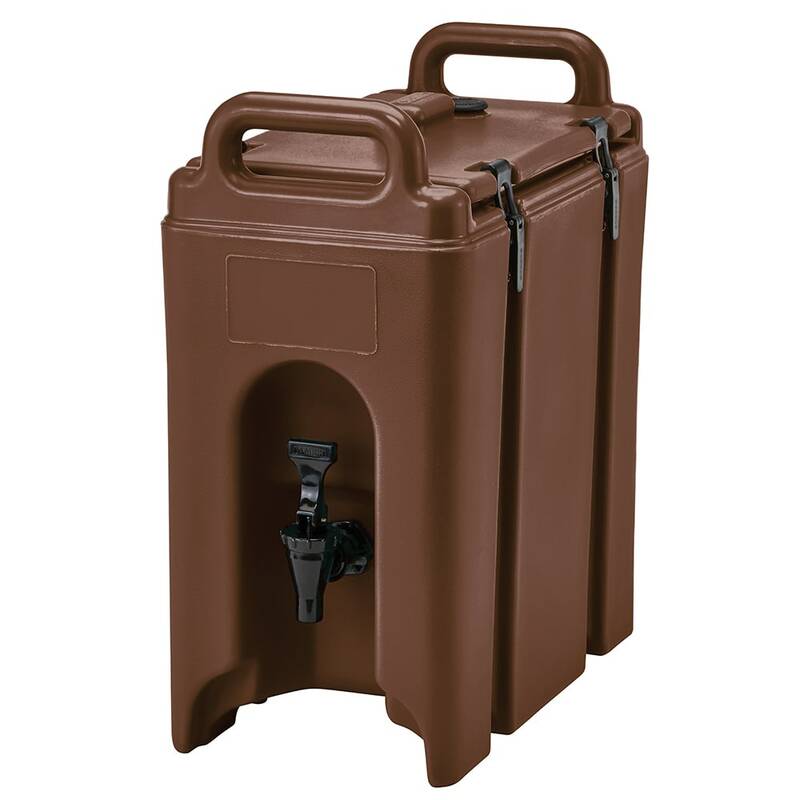 A drip-proof recessed spigot makes accessing beverages easy. When transporting the Cambro 250LCD131 Camtainer beverage carrier, liquid is kept from spilling everywhere with the raised edge spill proof rim. Self-adhesive beverage labels are included for easy identification. Pressure is equalized and steam is automatically released with the pop-up vent.